170 Jobs in Halle – 3…2…1 – mine! Invest in Saxony-Anhalt>News>Report INVEST>170 Jobs in Halle – 3…2…1 – mine! 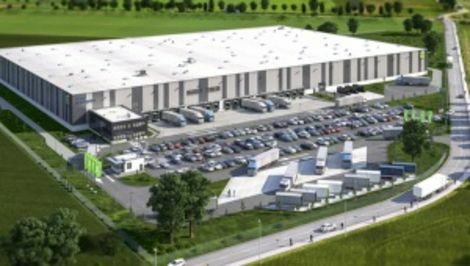 In the industrial estate “Starpark” on Autobahn 14 in Halle, the construction work for the logistics centre of eBay Enterprise has been completed. On an area of 28,000 square metres, eBay Enterprise, a subsidiary company of eBay Inc., is operating a goods and dispatch centre for the European market. “We will soon be ready to handle the first orders”, said Tobias Hartmann, Vice President and GM Enterprise Services International at eBay Enterprise. The company’s new European fulfilment centre will be taking over all of the tasks that arise for various suppliers after online orders are placed, i.e. packing, picking and dispatching goods, for customers such as online shops. Halle will thus become an important logistics site in Europe for the rapidly growing company. eBay Enterprise is one of the leading global suppliers of complete e-commerce solutions, including software, order-management and marketing. By its own account, the company had several reasons for deciding to locate in Saxony-Anhalt. There is the excellent location, for example, with geographical proximity to major European logistical and distribution hubs. The company says that this will make it possible to offer outstanding cut-off times – that is the period of time in which orders have to be received in order for it to be possible to deliver the goods at the stated point in time. In addition to this local advantage, the area’s supply of well trained labour and the very good traffic system were further arguments in favour of locating in Saxony-Anhalt. The company hopes, in particular, to be able to expand its customer portfolio and meet the e-commerce needs of customers throughout Europe with the new site in Halle. The company says that it wants to put the centre into operation gradually during the next few months. “The first wave of recruitment for the opening of the logistics centre has been concluded. In the course of further development we will also be creating new jobs and employing new personnel in the future”, says eBay Enterprise VP Tobias Hartmann. At present, the company reports, the first group of employees are being instructed on site. During this, each of them undergoes a detailed and well-founded training programme. A wide range of employees from different fields has been taken on in order to ensure the smooth running of the centre. According to its own statements, the management attaches great importance to an active dialogue with the employees, in order to ensure a professional and pleasant work atmosphere. The fact that the company will be paying its employees substantially more than minimum wage also contributes to this. Some vacancies are still open. (www.ebaycareers.com). To start with, eBay Enterprise will be employing around 170 people. The company is above all looking for warehouse personnel. It is intended, however, to create substantially more jobs in the new logistic centre. It is to be expected that more employees will be recruited, especially for the labour-intensive Christmas trade or for cooperation with other major customers. The first customer for the new logistics centre is already known: the internet shopping portal brands4friends. There has been close cooperation with the company in order to tailor work processes precisely to its needs, to make the logistics more efficient, to speed up handling and improve the cut-off times. The centre will thus be able to offer faster delivery times for brands4friends’ six million customers. eBay Enterprise has its headquarters in King of Prussia, USA, and possesses branches in Barcelona, Berlin, London, Manchester, Singapore, Hong Kong and Shanghai – and now also in Halle. “The logistics centre in Halle is our latest investment in this field. It supplements the global network of our other warehouse and logistics facilities”, said the company. An amount totaling millions have been invested by eBay Enterprise in the construction and equipping of the centre in the industrial estate in Halle. The company has worked together with a series of external partners, warehousing and logistics specialists and local agencies to ensure that a first-class facility can be established, with access to the latest technologies and warehouse systems. According to eBay Enterprise, it is entirely possible that the site will be expanded.